We love it when Brandon Hall announces their Group Excellence Awards winners. Not only do we get to see how innovative our industry has become, but in a few cases, our software plays a role in the projects that have earned the coveted Gold Medal. We even had the honor of winning one ourselves a few years ago for SCORM Cloud. This year, we were excited to see long time SCORM Cloud customer, CA, take home a whopping 5 medals including a Gold Medal for “Best in Learning Technology Implementations” for a solution they built using SCORM Cloud. CA faced a challenge of delivering training for their Global Partners and wanted to explore other delivery platform options for their external partners aside from their primary LMS. 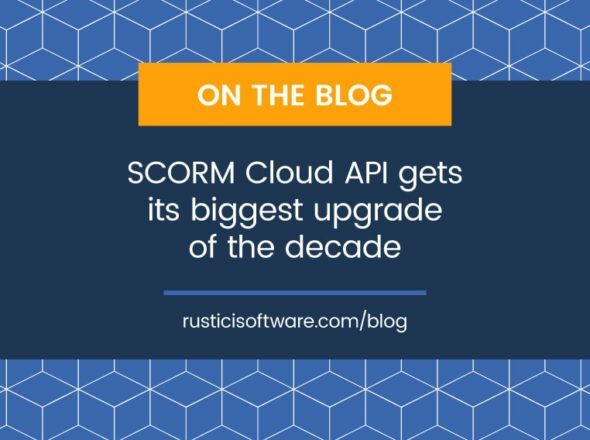 SCORM Cloud fit the bill. With the public invite option, CA adds links to their training hosted in Cloud directly on the partner site, making it easy for folks to login and get right to the training in one step. Using tags, CA can easily run reports through the Reportage feature to quickly see training results by each partner. By simplifying access to the training, CA saw a significant increase in training consumption and ultimately sales. Congrats to CA — we are happy to play a supporting role in this great honor!